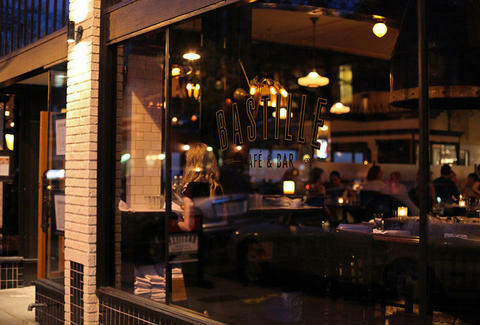 No longer referring just to the heavily spiked eggnog you've got to swill just to get through the holidays at your step uncle's house, seasonal cocktails at Bastille are cold-weather appropriate imbibables flavored with the kind of things -- apple cider, spices, bourbon -- that make you feel the way you're supposed to during the holidays: warm. 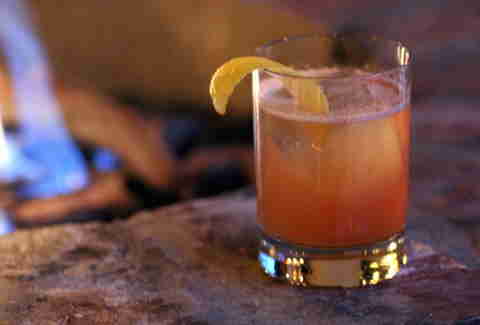 How do you make the House of Bourbon Sour? 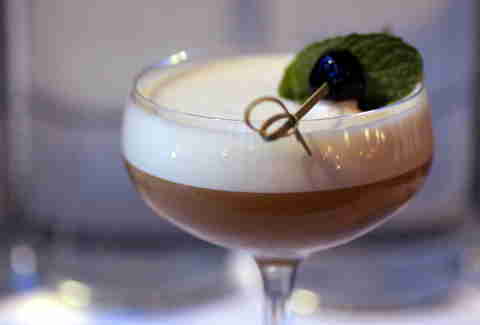 Either by abandoning the already humiliating Estates-General of 1789 in favor of storming the Bastille with the rest of the Communes, or combining bourbon w/ spiced apple cider, egg white & some other stuff. The First Republic starts off not with mobs of Parisians starting the September Massacres, but with Cognac, sherry, allspice & a sweet white wine appellation with a name that actually details the amount of brandied eggnog you'd have to drown your sorrows in if you don't try one of these cocktails: Quarts de Chaume.